I’ve been under the weather and not up for the major projects I have on deck like painting our new “mud hall” cabinet, finishing my study shelves, or sewing Chloe’s curtains. 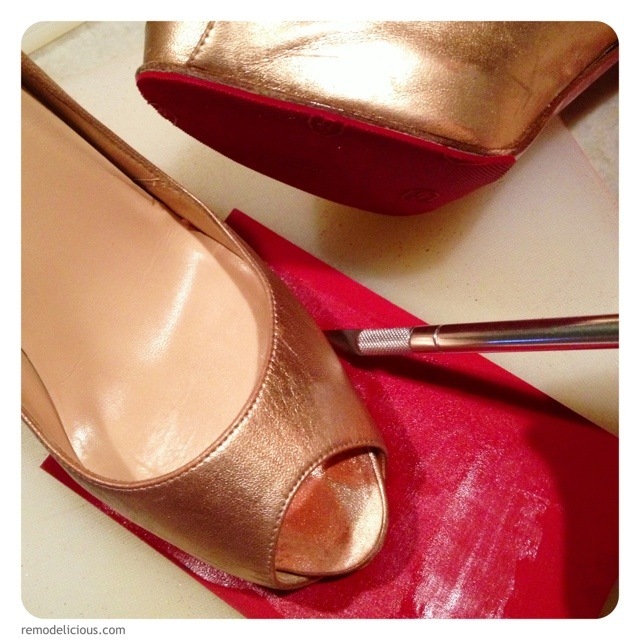 What’s a better quiet activity than bringing life back to a pair of worn designer shoes rescued on Ebay? 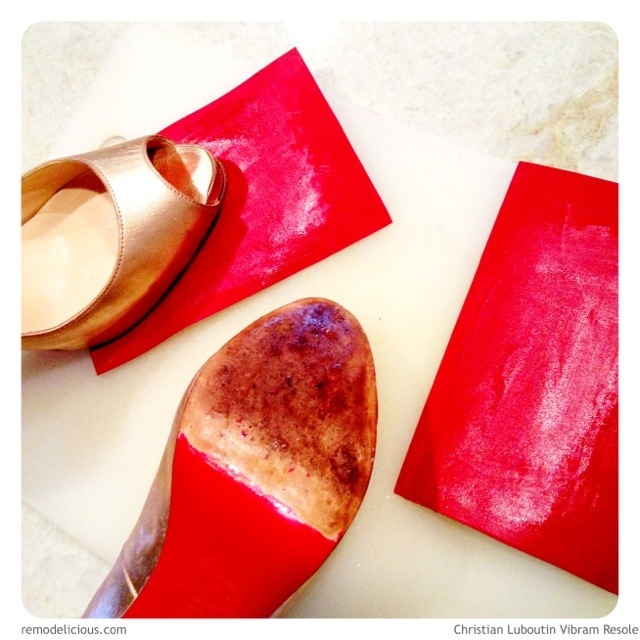 Step one was to re-sole with the rubber Vibram-brand half soles that I used previously when resoling my pink, now glittered, Christian Louboutin shoes. I followed the same steps, but did not fuss over the blue tape since these will later be covered in Swarovski crystals and I’m not as concerned over the finish. Also, having done this before, I have a bit more confidence with what I’m doing. I also cut off the excess half soles from the top this time, instead of with the sole facing me, which made for a much cleaner cut since I was able to basically trace around my lines. It made a world of difference making for easier work and a better finished product. I’m very happy with the finished project and can’t wait to move on to step 2! 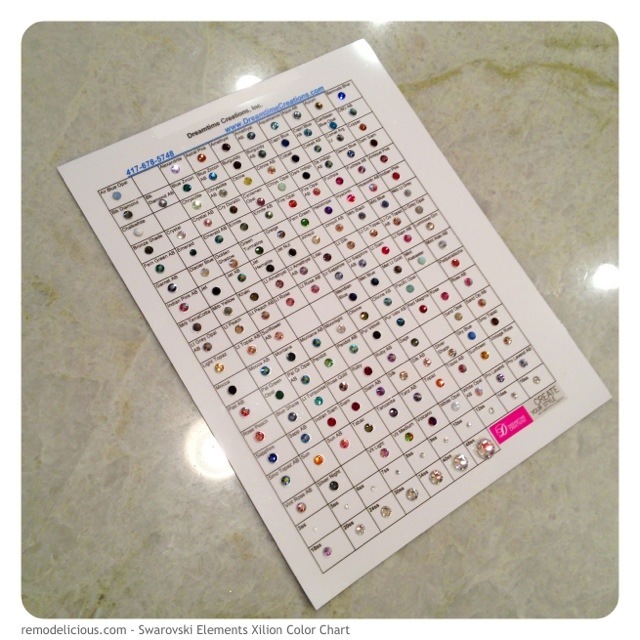 It will be a very sparkly project. There will be more updates on this project soon! This is a project that I’ve been wanting to do for years and just recently finally found the perfect shoes for the right price. For me fellow shoe afficionados, these are Christian Louboutin Very Prives in Rose Gold that I purchased second hand on Ebay.